On the sole of the foot was thin and stiff hair growing. The feeling behind the foot seemed to be dull as the skin thickened. The sensation of pain and irritation was diminished, but the vibration of the shiki became easy to feel. Siki is always vibrating. I feel that you can hear the voice of your shiver when your vibration and vibration of shiki overlap. The voice of a wonderful speechless word. Aoi remembers the word Kunune said while feeling the vibration of the shiver transmitted from the sole of the foot. "The shiki seems to be getting weaker again." Aoi was chewing the word of Kunne slowly. It was my own wave that weakened the shiki. The vibration of the shiki transmitted it moderately. Shiki who lost his voice lives with this star's creature. That distorted wave is the cause of weak shiki. The waves of demons are disaster themselves. Accepting beasts, I gradually become aware. God like living in a tea bowl like Sakichi lives when God lives, that wave will heal the shinkle. Aoi thought of Miwa and Tanabe while feeling the vibration of the shiny transmitted to the soles of the feet. "Thank you" Small, I will try again someday. Words that humans always use. Aoi remembered the life she shared with Miwa. Miwa contained many "thanks" in everyday small conversation. In my emotions, in my mind. Miwa did such a way of talking as she remembered. There is a wave that can heal the shiki among humans. The bustle of the city can be heard from afar. The cityscape of Kobe is shining under the eyes. Aoi finds that the waves of the demons inside of him are still not disappearing. Will the area change with changes to beasts? I'd like to send a quick wave to Shiki that can heal the shiki. As Aoi decides his mind, he notices myself that he is beginning to think so as hesitation has gone. Become a creature called a beast. It is not human nor demon. The vibration of the shinwa comes to the back of the foot. It started to rain. A thick rain cloud covered the sky when I noticed it. The black clouds overlapped many times and were hanging down the mountains and the city under the eyes. "I talked to Toka a little while ago because Toka is far away, Toka is worried about you," Kunne said. 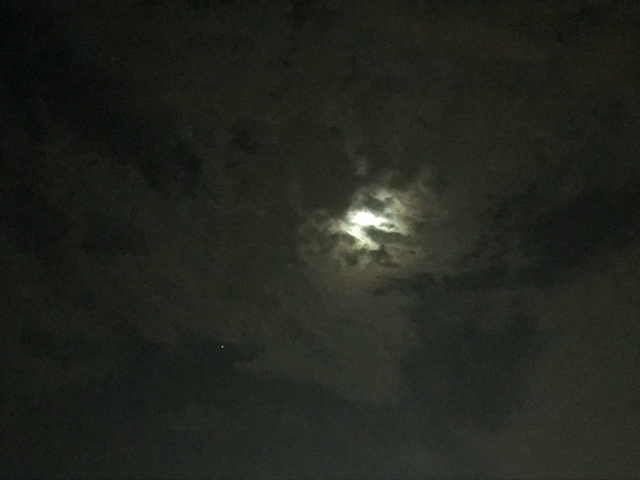 The moon floated over the thick clouds, floating on the ocean round. "Kunne, I also remembered what my mother said, I decided at that time to remember," Aoi went to Kunune floating in the sea. "Yes, but no matter how much you remembered my memory, I can not do anything while you are holding the soul of a demon, I will polish my soul in the form of a beast. The soul is to shine, the soul can only be polished by yourself, you can do it, surely you can do it. "Kunne made one throat after it had finished speaking. Aoi asked, "Does the demon's soul drop out in exchange for changes in appearance?" "The figure changes as the demon has passed from the soul," Kunne said. "Brush up"
Kunne said so and disappeared into the clouds. Kunne believes that Aki will surely notice, while feeling the wave of the Toka on the other side of the shiki. Every life has its own radiance. There is also no merit in the glow of life. There is both light and darkness in life. There is a day and a night area. I think Kunne wants him to notice Aki through his own absence. Light and darkness are both. Not only you. From the other side of the shiki Toka can make a wave. Toka warms up the family. Do not get lost. Hold the family with its gravity with free love at any time. My children. Life is shining everything. I do not want it to have a life not to shine. Toka embraces his family and burns his life to warm his family. Tokka burns its life until it burns out. The rain is getting stronger. Mist can be placed in the Akamatsu forest. The fog rising from the ground mixes with rain and invites the forest into the water. The pulse begins to breathe in the forest which becomes flooded. The topography of the forest is cut down by dragon water and changes its appearance rapidly. The earth collapses with rattles and here and there. The tree falls on the dragon which is blown and drops branches and leaves. Wind and water carry it and the mountain revives again. "Brush up," Kunne's words spirit again in the mountains. The forest dances its life to resuscitate again in the water. Aoi will return to me as it is struck by the rain. It is still human figure, when we are struck by the rain we lose our physical strength. I took out the rainbow that I put in my backpack. I want to find a place where I can rain shelter from here. I decided to move near the top of the mountain where the artificial facility is located, and wore rain wings. What can I do to polish? Aoi looked for the answer with feelings similar to prayers. Rain strikes with rain at the rain. That vinyl film separating the world and himself disturbs thought with an unpleasant sound. Kick the ground and start running. Go out to the ridge line and run to the summit at the shortest distance. Stop thinking and turn consciousness on the foot kicking the ground. Go up the slope across the valley. Branches and rocks split the vinyl film. Vinyl film is robbed of its function in the forest very easily. On the way, Aoi took off the defeated raincoat and put it aside the asphalt road. On the concrete, the vinyl fragments will be harmonized with nature. It does not mix anything. It seems to be me or Rintaro now. Rintaro. Again, I want to meet before the appearance of the beast. Aoi wanted him to accept something. A boy in a barrier. I am empty at the edge of the world. Suddenly, Aoi wanted to take Rintaro from there and take him to the beast's world. Is not it the world that Rintaro wants? Demon poison and break from reality. Aoi feels the spirit of a demon flowing inside of himself. This thought of now is a thought emitted from the soul of a demon. Aoi feel that distinction began to distinguish one's consciousness. Demons and beasts intertwine at the level of the soul. Rintaro is a human being. That soul is different from a demon. I feel the same wave, but the soul is different. Rintaro is a human being. It relieves Aoi. Aoi changed clothes wet with rain under the roof of the parking lot of tourist facilities. Tourist facilities in the middle of the night had loneliness like ruins left behind. I went to the restaurant and found a dry bench. I dried wet clothes in the surrounding chair. Lay your body on the bench and close your eyes. A chilly wind sometimes blew through. Shallow sleep wraps Aoi. The dragon of the forest trembles and runs to the city of Kobe as the wind. The city is hard concrete and catches the wind. The wind runs between the buildings and reaches the ocean of the ship. The sea is firing. Bring up pink bubbles from the bottom of the ocean. I hear the bubble bursting sound. A dragon moves slowly in the ground of the bottom of the ocean. Along with the movement of the dragon, the pink bubbles rise with fluctuations. Bubble bursts on the surface of the water and rises to the sky. Then we will go around the river by convection. Aoi heard the sounds of shiki vibrating in the falling sleep. I want to tell this sound to the support. This sound is the sound of life. Can you hear me? Listen to the sound of life. Aoi 's consciousness falls asleep, and that thought is taken away by convection. The flooded forest was shining brightly. Life began to shine in the dark.